Who doesn’t dream of having a big car? There is hardly a person in this world who doesn’t fancies cars and want to possess the best one ever. But what about those who cannot have them and therefore have to take wrong ways to fulfill their desire. 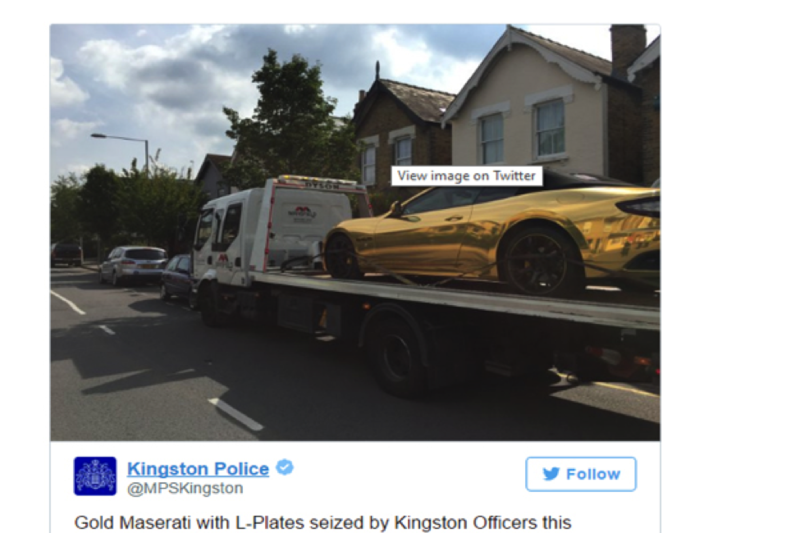 A driver in South West London was pulled by police because he had no insurance for L-plated Maserati GranCabrio, which costs around 1 lakh pounds (87 lakh rupees). 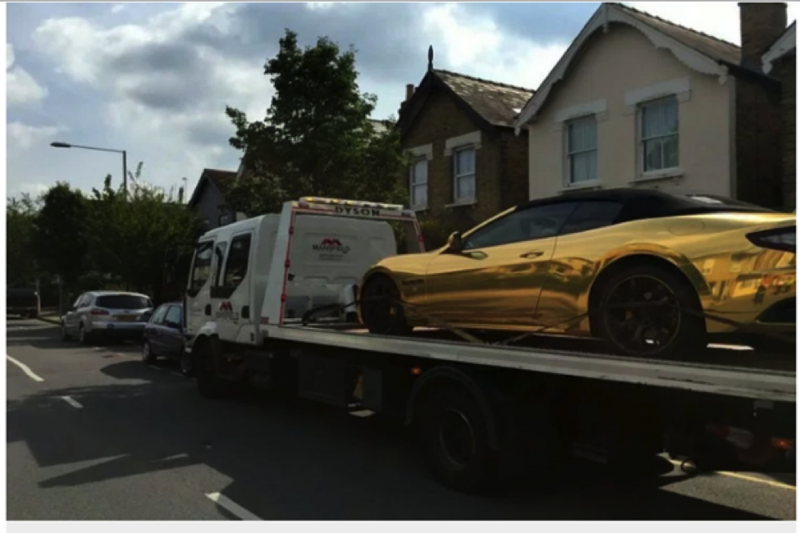 For his mistake, he now has to appear in court and may have to pay a minimum of 300 pounds fine along with 150 pounds towing cost and 25 pounds extra for every twenty four hours they hold it for him. 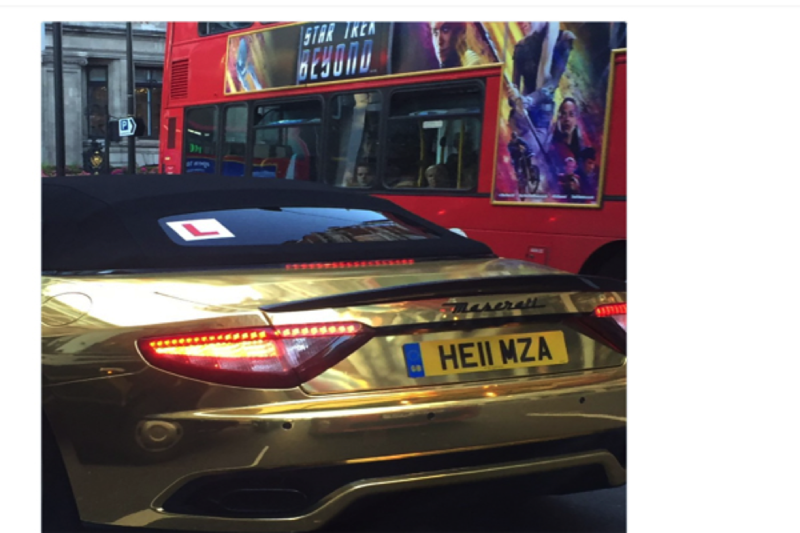 Even though the driver’s identity has not yet been announced but the Brit police had docked a gold coated Maserati back then in April, for parking on a yellow line, outside a café. The entire incident was announced and described by the cops on Twitter and surprisingly, by looking at the comments, it felt like the anti-cop universe of the ‘Fast and Furious’ has popped up online altogether. The post received a lot of comments and thus became the matter of discussion.